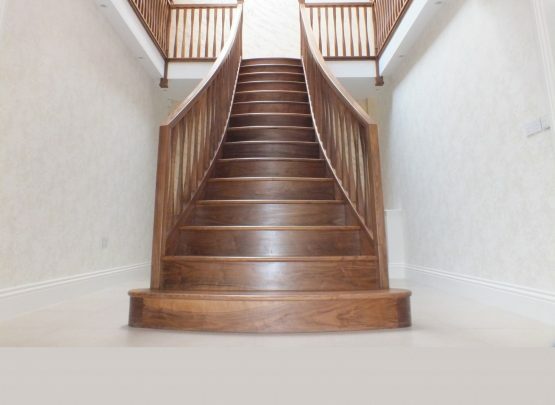 Staircase trends over the past two decades have very much pushed lighter timbers such as Oak and ash, these timbers are favoured as, being lighter, make rooms feel much larger as well as brighter. 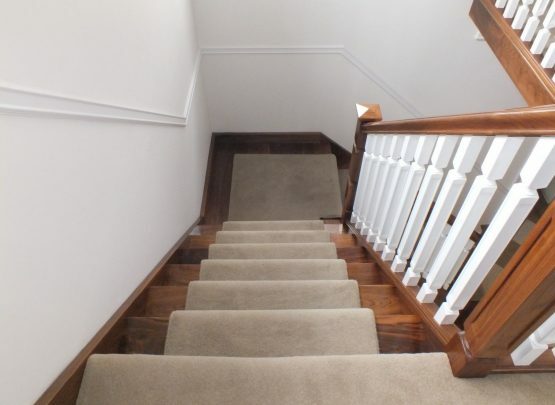 These attributes make them a more popular option when deciding on a colour scheme, leaving darker timbers such as Walnut and Mahogany out in the cold as people don’t want to risk making their hallway feel small. However, over the past year people are beginning to use these timbers provided they use them correctly. The problem with a dark staircase is that their dark colour takes over a room and dominates other colour schemes, making your hallway feel dark. 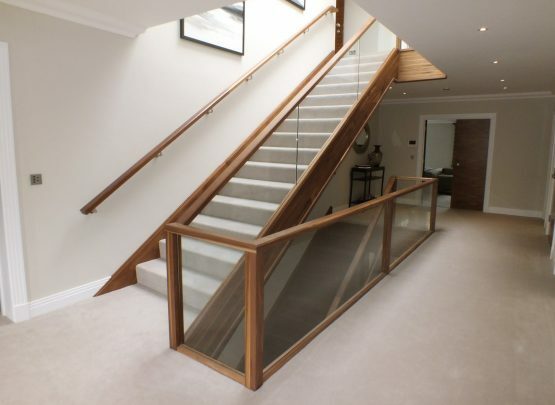 In order to counteract this problem, and correctly utilise a dark staircase, make sure that the walls, floor, ceiling as well as furniture are light, preventing the stairs from swallowing the colour from the rest of the room. Make sure that a third colour scheme is used to break up the dark browns and the white background. One of the main problems with dark timbers is that they feel more profound than they actually are especially when the entire staircase is made up of this material. Ideally using softwood (which is to be painted) acts as a counterbalance for the darker sections adding contrast to the stairs. Ideally, any walnut elements should sit on top of the softwood elements, as a guest’s eye will rise to the most integral part. For example, a walnut tread on a white rise, a walnut handrail on a white balustrade or a hardwood feature step on a carpeted staircase. One of the major drawbacks of dark timbers is that they can draw the available light from a room, making it feel dark and claustrophobic. Therefor ensuring that a room has a large supply of light, preferably natural light, can make the difference between a dark room and just a dark staircase.